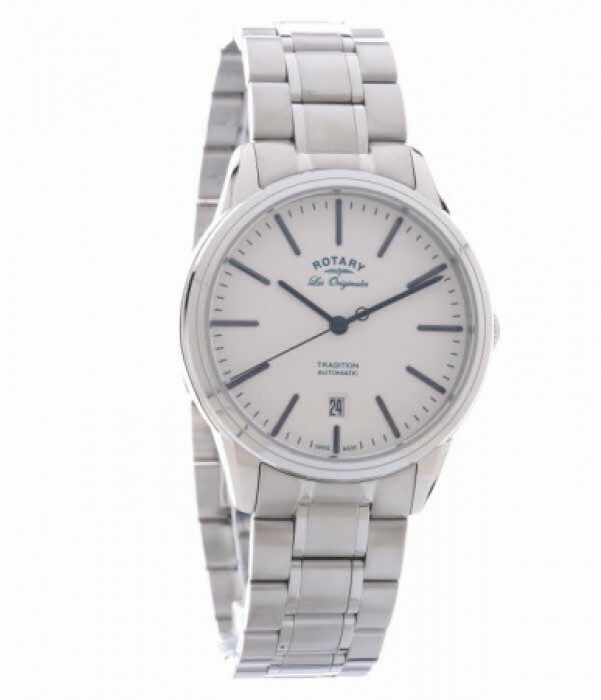 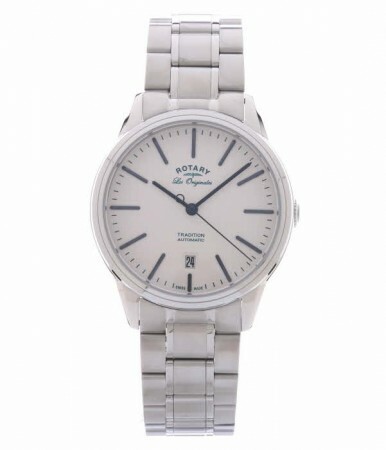 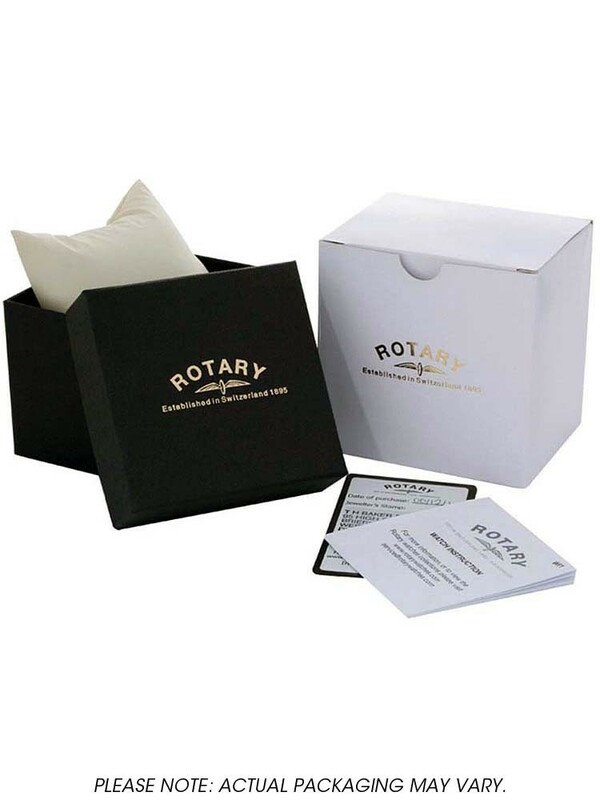 Founded in 1895 by Moise Dreyfuss in the Swiss town of La Chaux de Fonds, Rotary watches are to this day the oldest family owned and family run Swiss watch making company. 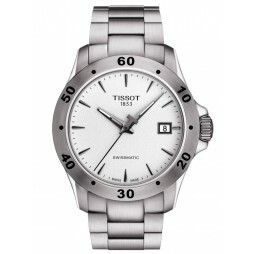 Sold in over 35 countries, the award winning brand specialises in stylish and affordable watches. By combining old and new, plus classic and contemporary designs, Rotary has established themselves as a leading brand in the world of watches, exploring new ground and creating iconic pieces such as this stunning piece. 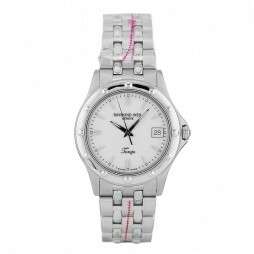 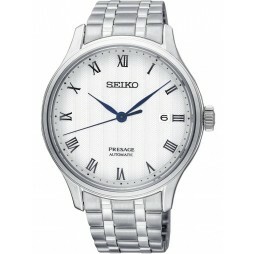 Crafted from incredible stainless steel this remarkable watch features an amazing bracelet strap and stylish dial. 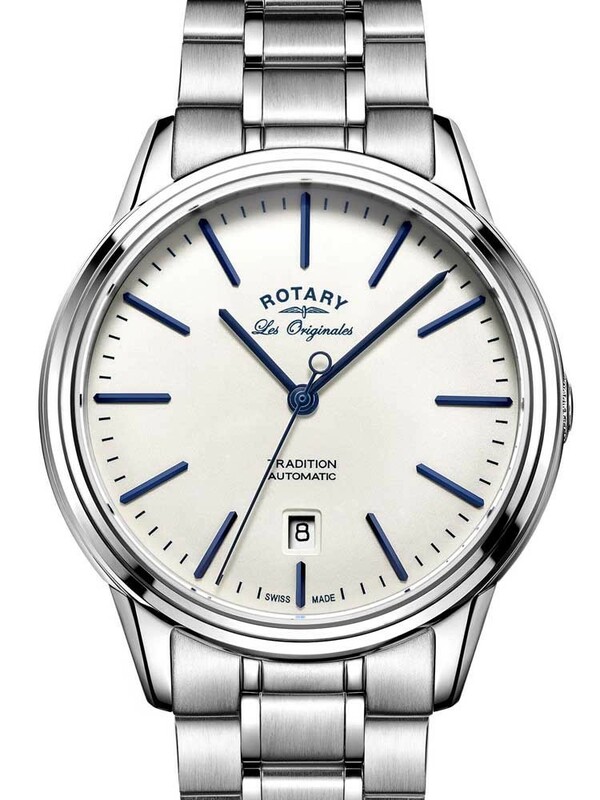 Hosting a white background with bold blue minute and hour markers as well as matching dial hands, this astounding contrast creates a classic and fashionable aesthetic feel to the piece. 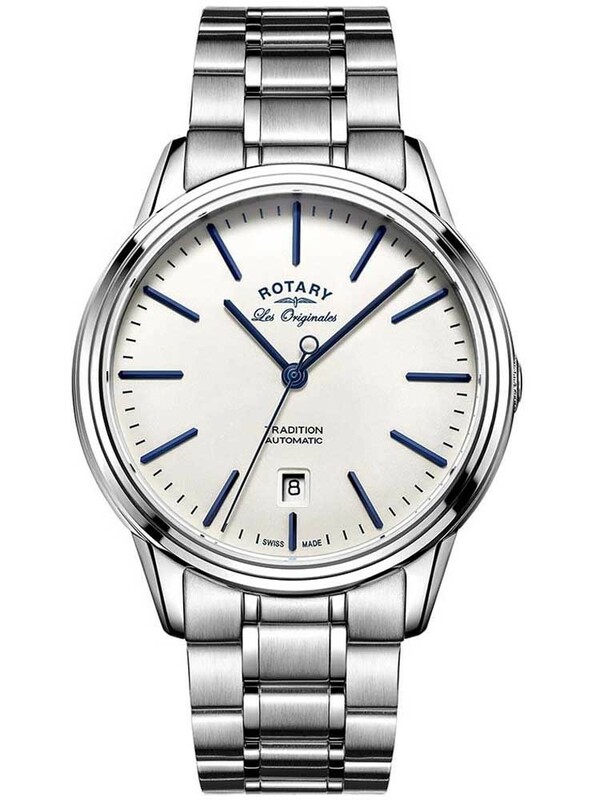 Rotary logo detailing decorates the dial, alongside a useful date display. 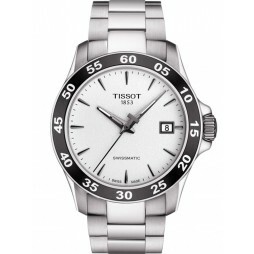 Beautifully designed and flawlessly created, this Swiss made watch is guaranteed to catch the eye and add a designer look to your attire.